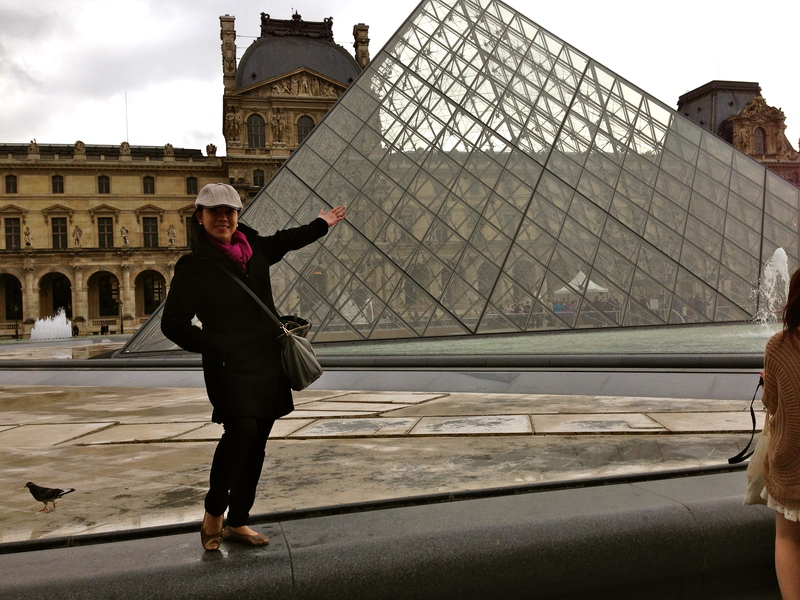 Ok, I know it’s taking forever to complete posts about my recent (not so anymore by now) Paris and Rome trip. Kids first right? We’ve been swamped with activities this summer so I just get to write during “free time”. 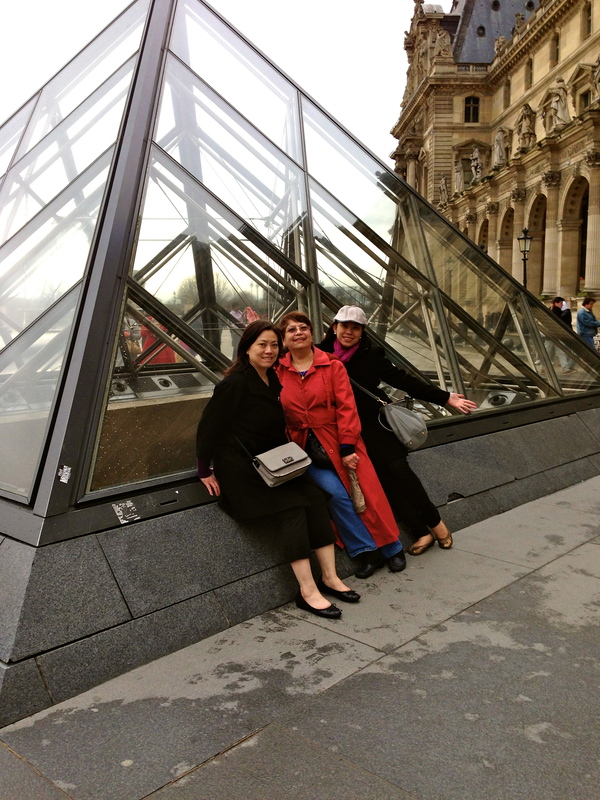 I’ve told you about my journey getting to Paris (meaning how I got there and getting around on day 1—as they say, half the fun is the journey…so true!). Now, I’ll show you some sites we saw. 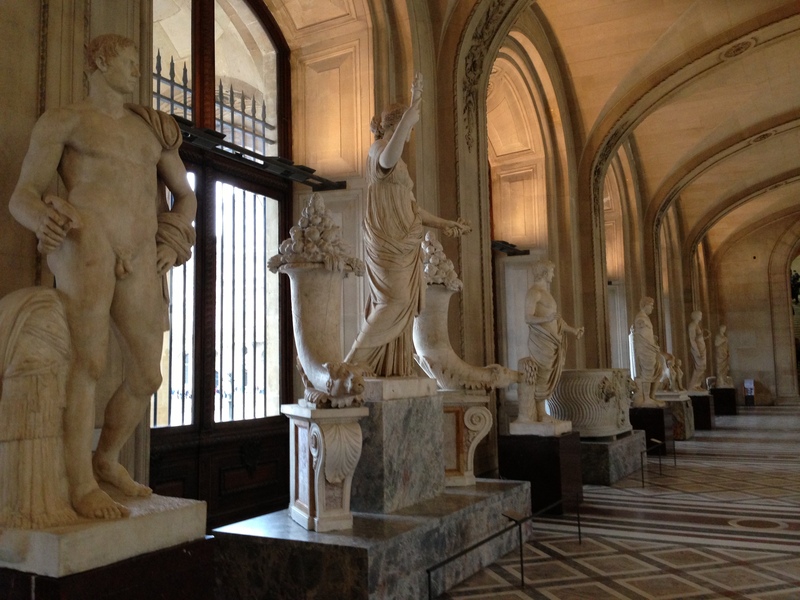 Let’s start out with this lovely Museum, The Louvre. 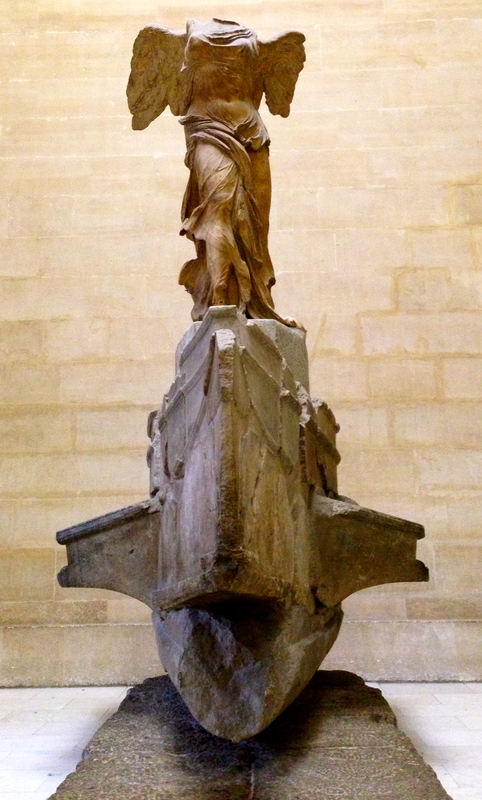 The Musée du Louvre (French pronunciation: ​[myze dy luvʁ])—in English, the Louvre Museum or simply The Louvre—is one of the world’s largest museums, and a historic monument. A central landmark of Paris, France, it is located on theRight Bank of the Seine in the 1st arrondissement (district). Nearly 35,000 objects from prehistory to the 21st century are exhibited over an area of 60,600 square metres (652,300 square feet). 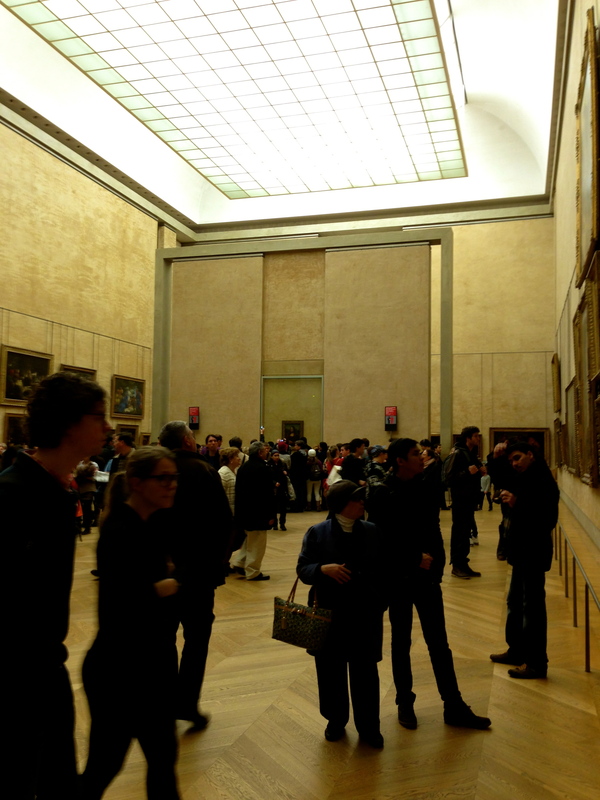 With more than 8 million visitors each year, the Louvre is the world’s most visited museum. 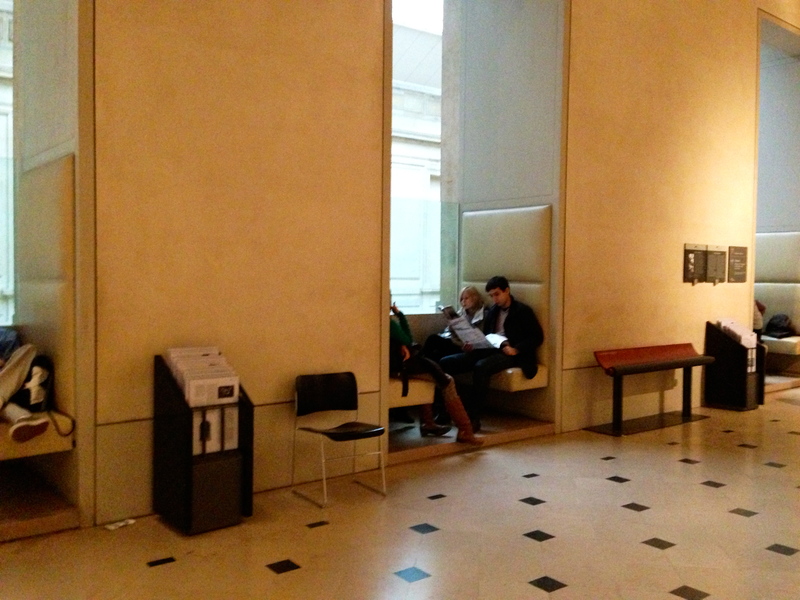 The museum is open every day except Tuesday and the following French holidays: January 1, May 1 and December 25. First off, our experience getting there! We took the metro and relied on our tourist map 🙂 We were trying to veer away from “looking like a tourist” but we just couldn’t resist looking at our map. And nothing says tourist more than a person holding a huge map on the street. I had a map on my iPhone but she preferred to hold that huge map. Imagine a woman holding a map on the street, looking up and turning around like 5x! How to make things worse? 3 more women following her! 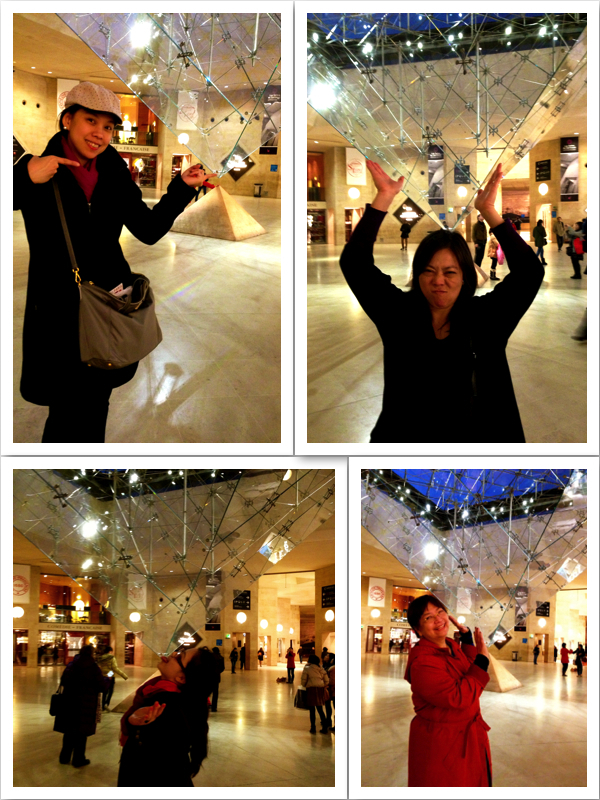 We were looking for the famous glass pyramids of the Louvre. But of course we couldn’t find it coz turns out, we were on the other side of the Museum. 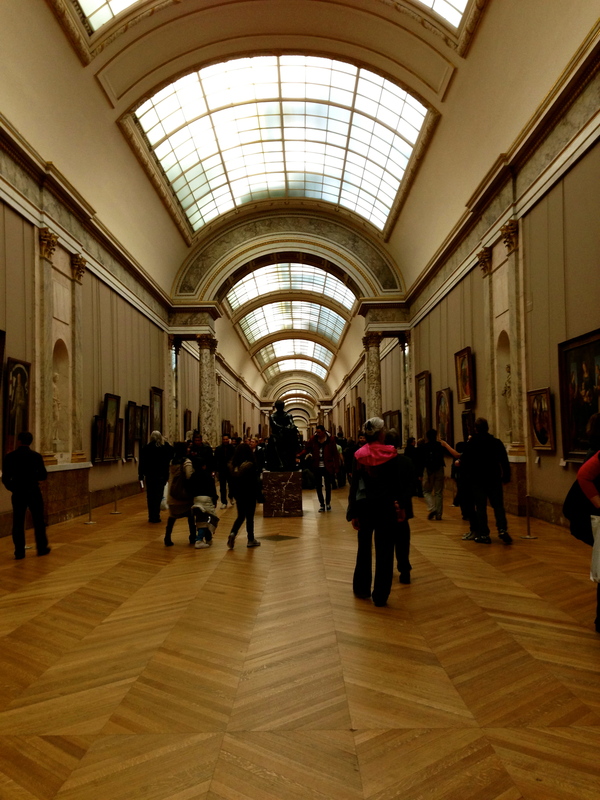 We decided not to take any guided tours so we could take our sweet time and play it by ear. If we din’t like the place, we could just leave. Or if we wanted to stay longer, we could. But getting lost or thinking it would be difficult finding places was never in the equation. Side Entrance. This hallway would lead you to where the glass pyramids are. After taking pictures outside, we started our art appreciation inside. 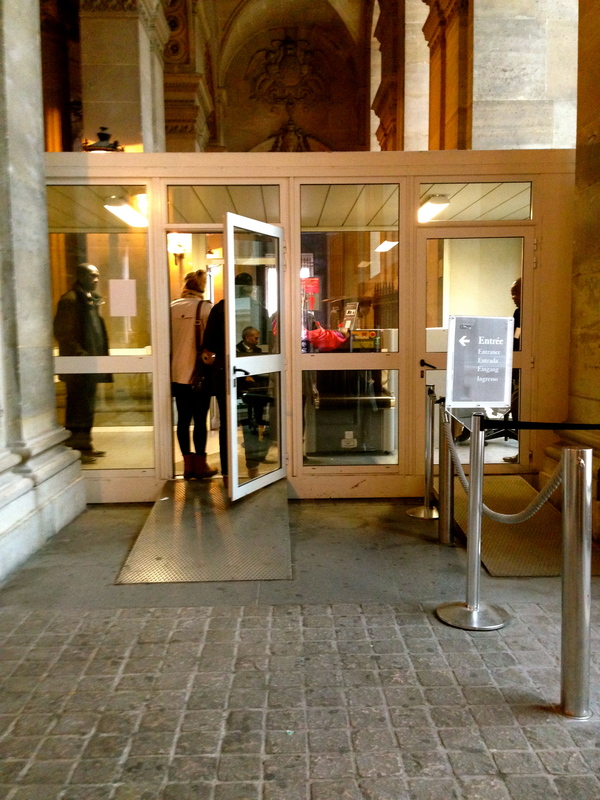 Entrance of museum, you’ll need to go through security. Pass through here to get to the lobby. We had Paris Passes so we din’t need to line up to buy tickets which would be such a waste of time. 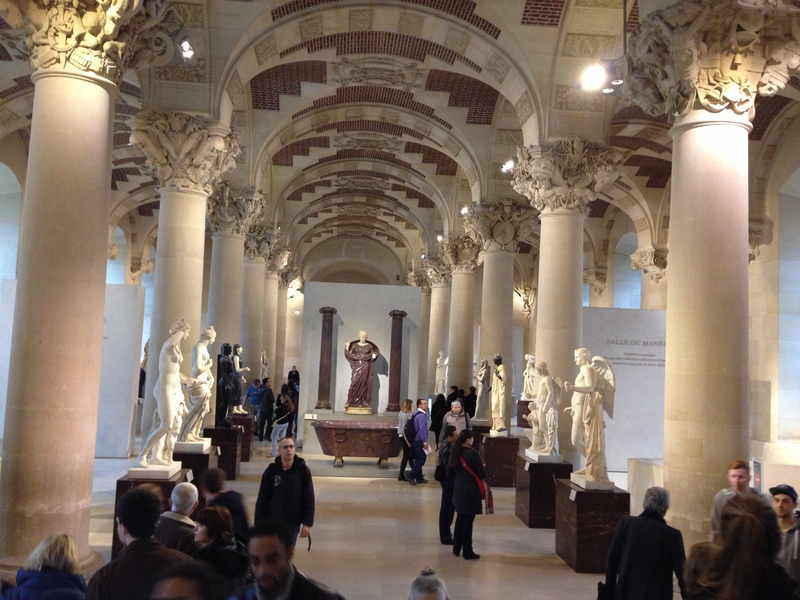 I suggest you get a Paris Pass if you plan to visit several museums and attractions. 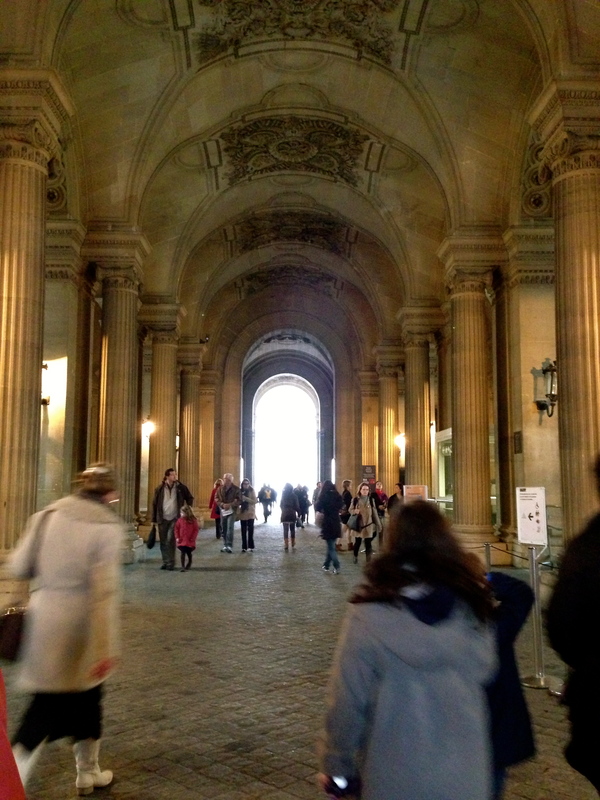 I’ll show you what a Paris Pass looks like in another post. Main lobby. Each direction brings you to different wings where different forms of art are located. Just choose one and work your way around it. This place is humungous! 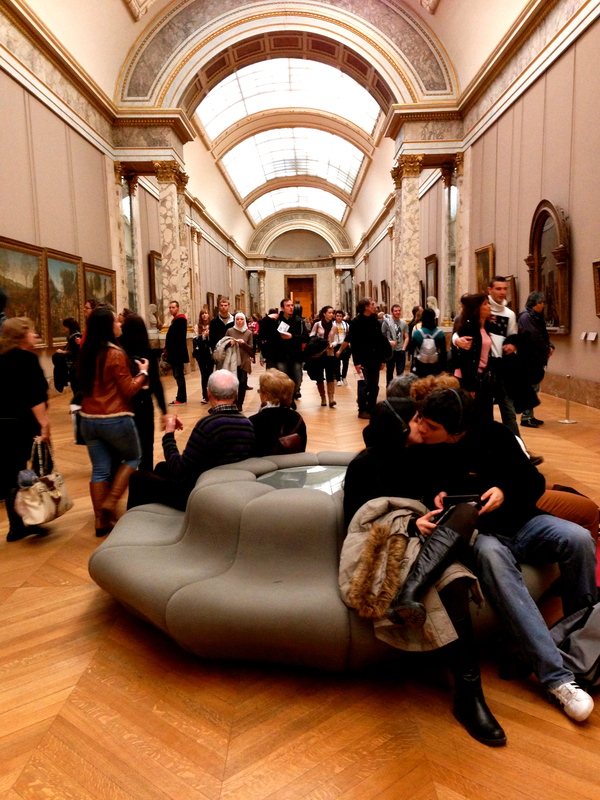 If you really want to see the entire museum, you’ll need to spend 2 days here. There are areas full of sculptures. 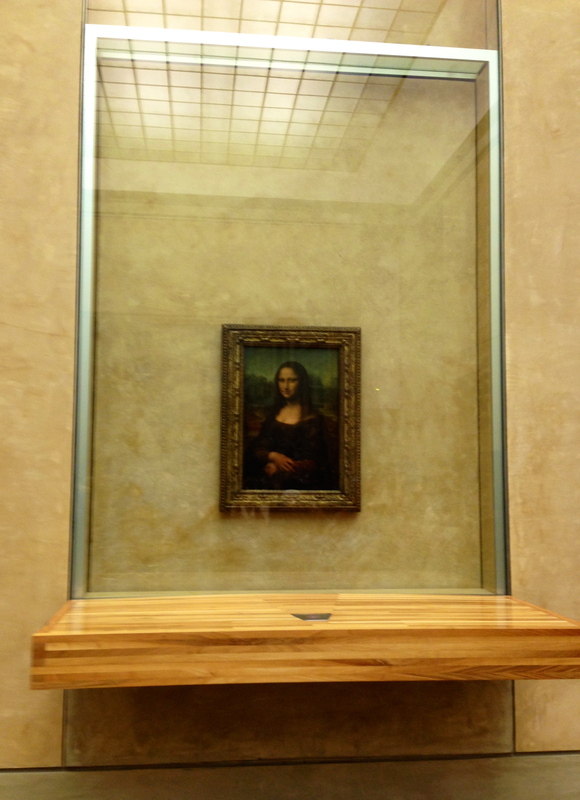 My main purpose here was to see the Mona Lisa. But before you get there, you’ll pass through long hallways, stairs, and rooms. Some sculptures I saw along the way. Another hallway I had to pass with lovely paintings. Not yet there…you’ll need to enter this room, but it was okay, coz the ceiling was so pretty! 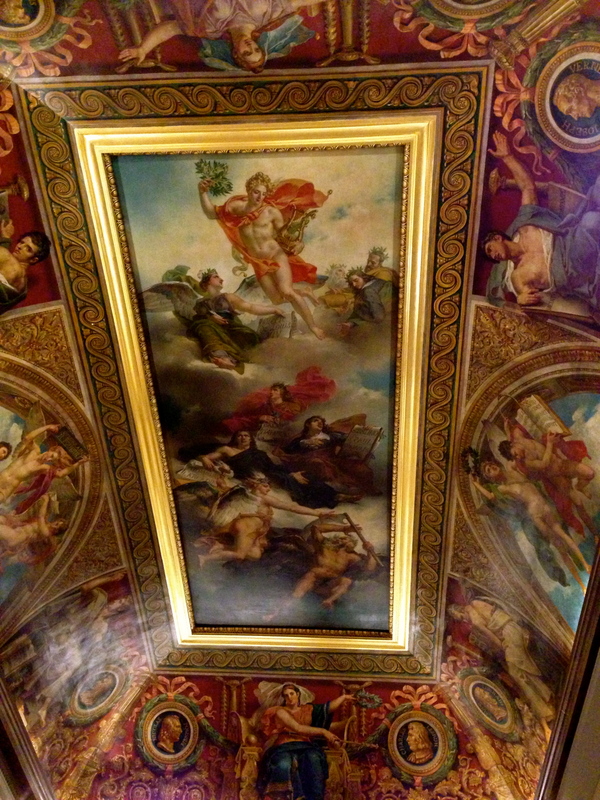 Here’s a view to see how high these ceilings are. Touring this building is no joke. You’ll need to rest a bit or else your feet are gonna kill you. 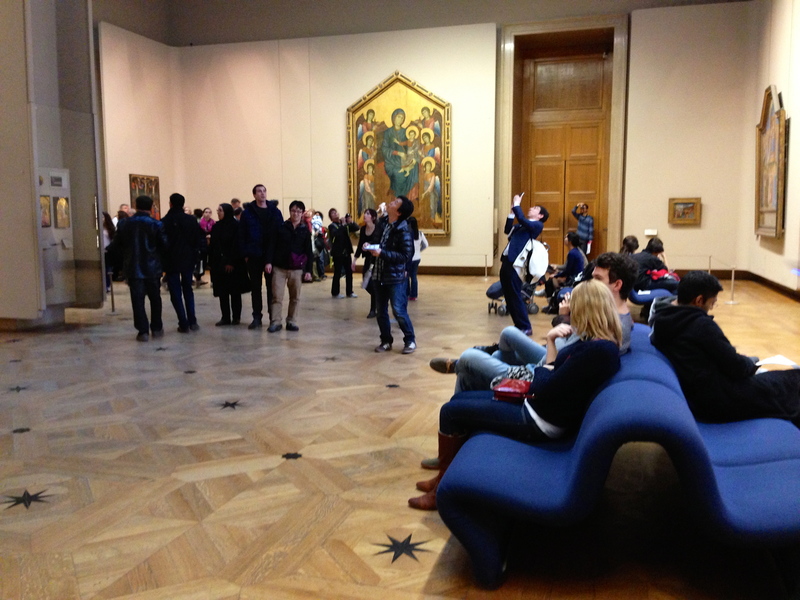 You’ll see several couches scattered within the museum. 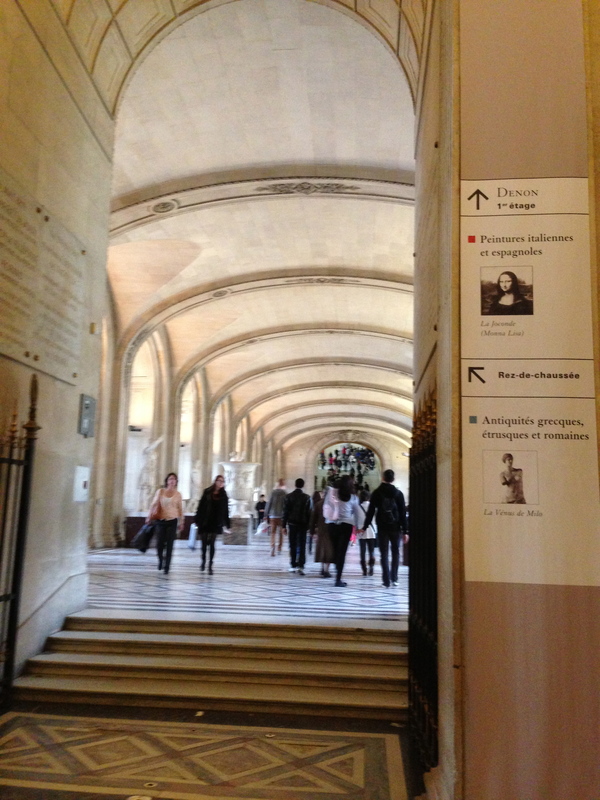 Once you get out of the room, you’ll need to pass another long hallway to get to the famous Mona Lisa. By this time, my excitement to see the painting grew even more. Check out the couple on the couch being too romantic..cliche much?? 🙂 I’m sure they were saying, Who cares? We’re in Paris! Here’s the Mona Lisa! Yes, it’s that tiny painting on the wall. It’s the only painting on that big flat wall. One of the first biographies of Leonardo states that it was painted for Francesco del Giocondo and is the portrait of his wife, Mona Lisa, whose maiden name was Gherardini. The birth of their third child in 1502 and the acquisition of a house would have been ideal pretexts for commissioning the portrait. Mona Lisa is wearing a very dark, severe dress with a pleated bodice, embroidered with interlacing forms in gold. The dress’s low neckline exposes her chest down to the top of her cleavage. She is wearing no jewelry. A scarf is hanging from her left shoulder and the yellow sleeves of her dress are rumpled into little folds. She is wearing a veil over her slightly tousled hair. Her attire is surprisingly sober compared to other costumes painted at the time. I was so shocked to see how small the painting was. But damn! It was really beautiful up close. 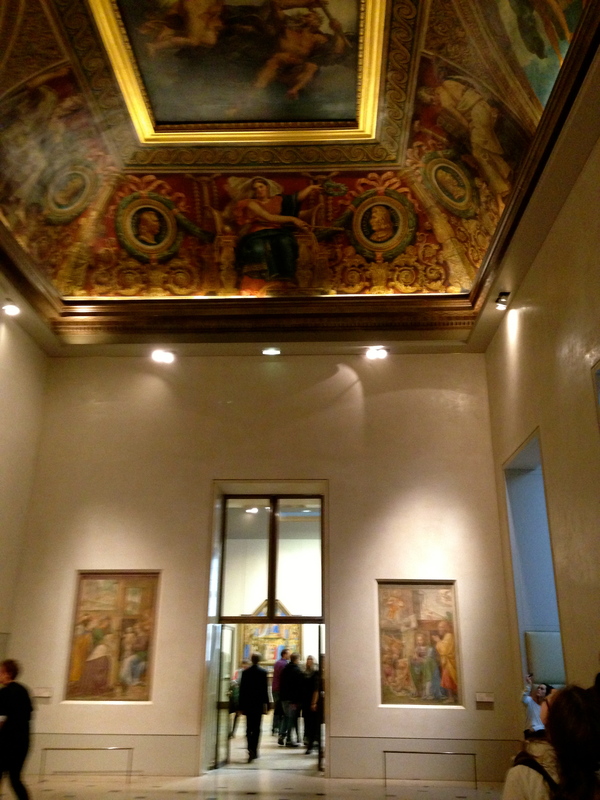 Panoramic view of the room where the Mona Lisa was in. Right across it was this painting that covered the entire wall. 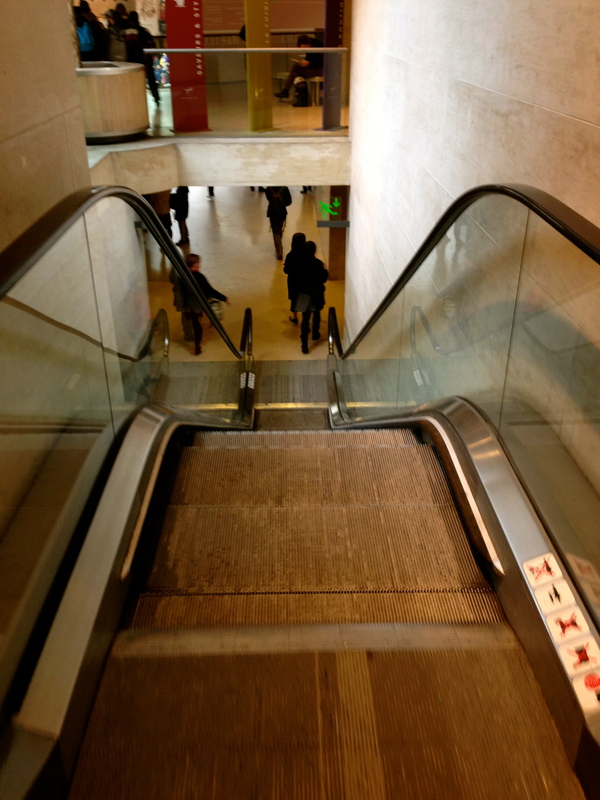 For those who don’t want to climb stairs, there’s an elevator you can use. After an hour of walking, I had to rest. 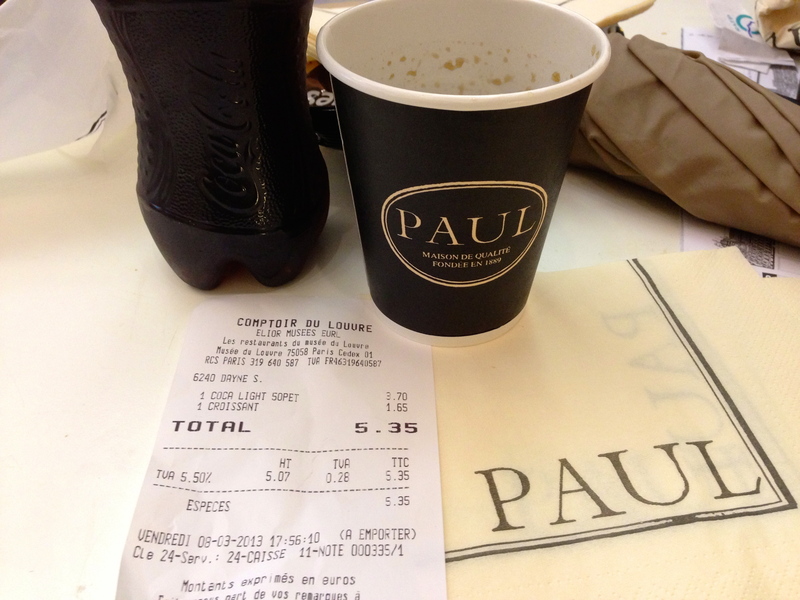 Good thing there was a Paul Cafe inside the museum. Below is a short description found on their website. 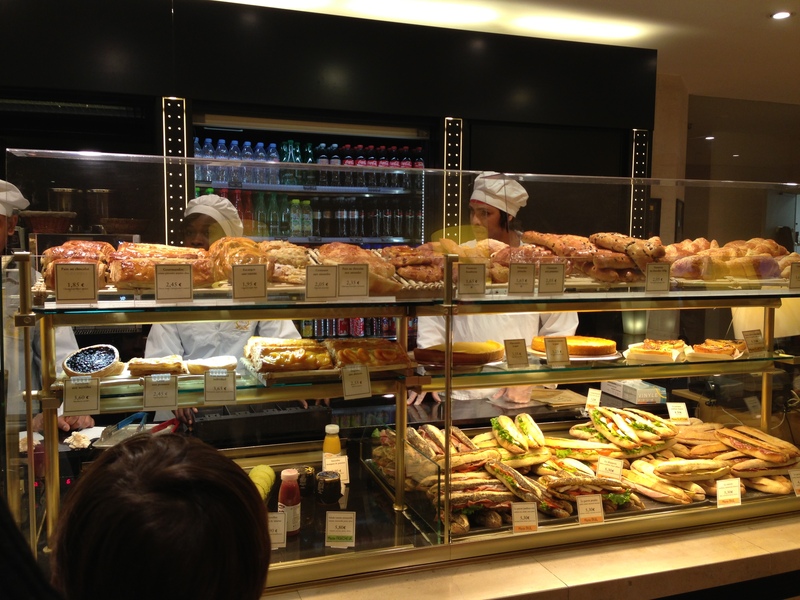 PAUL is a French-style bakery offering traditional and fancy breads, pastries, small cakes and desserts, as well as fresh and varied sandwiches for a perfect lunchtime snack. Set in the Carrousel garden – the setting for an ensemble of twenty statues by French sculptor Aristide Maillol – and at the foot of the Carrousel triumphal arch, the PAUL kiosk is the perfect choice for a quick take-away in a breathtaking setting. An hour going around was enough for me. My mom and I just relaxed and had coffee while waiting for my sister and niece. It was around 4pm of the day we flew in and I’ve been up for almost 24 hours! This coffee was my best friend! 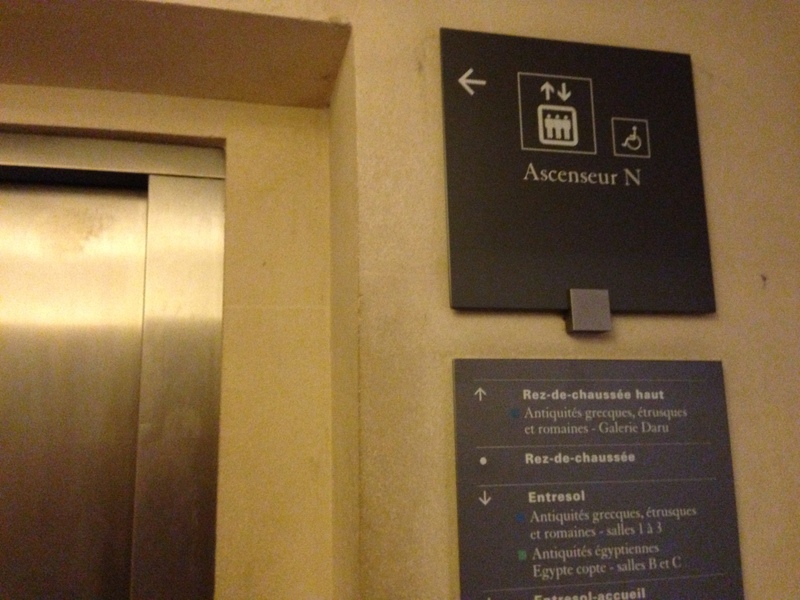 This elevator brings you up the pyramid I showed you earlier. 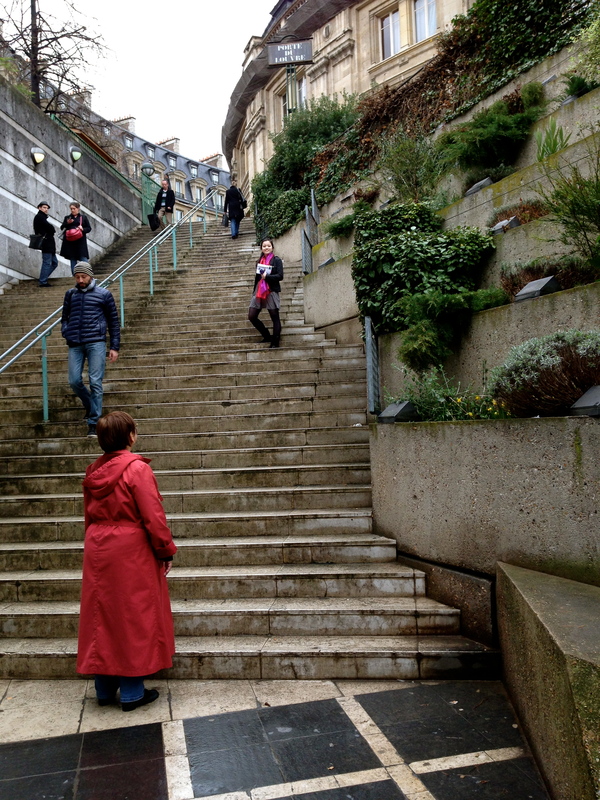 You can also choose to climb up the staircase around it. Before heading out, we had to, we just had to take silly pictures! Enough of the museum. By this time, we were hungry! It was 6pm and we had to get to our 8pm restaurant reservation. As we headed out the museum, we saw a souvenir shop across the street. Yes, of course we stopped, and looked, and bought senseless things! Time for dinner! I thought I had everything covered in terms of how to get to places. But google maps wasn’t that accurate. It took us an hour to find this place. It was a small restaurant filled with locals. 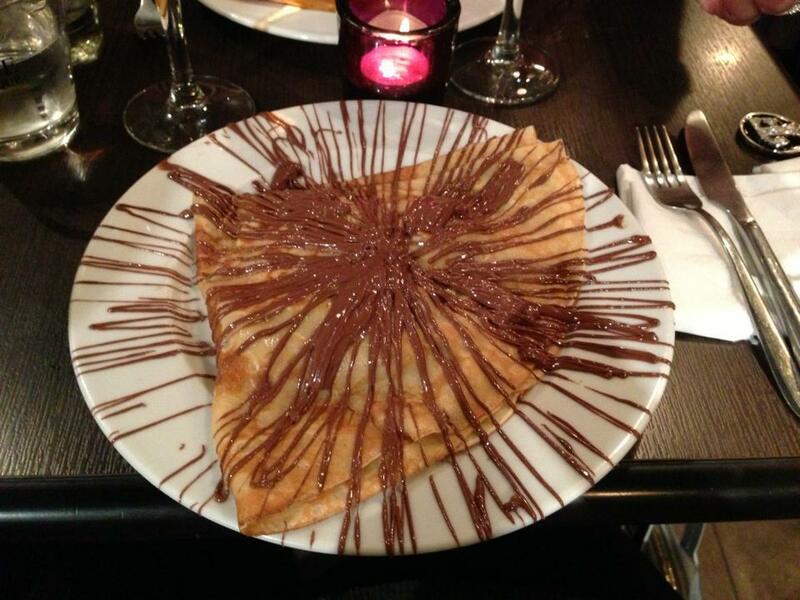 We had a main crepe for dinner and a dessert crepe which was soooooo goooood! It was worth all the walking! This was the end of our first day. 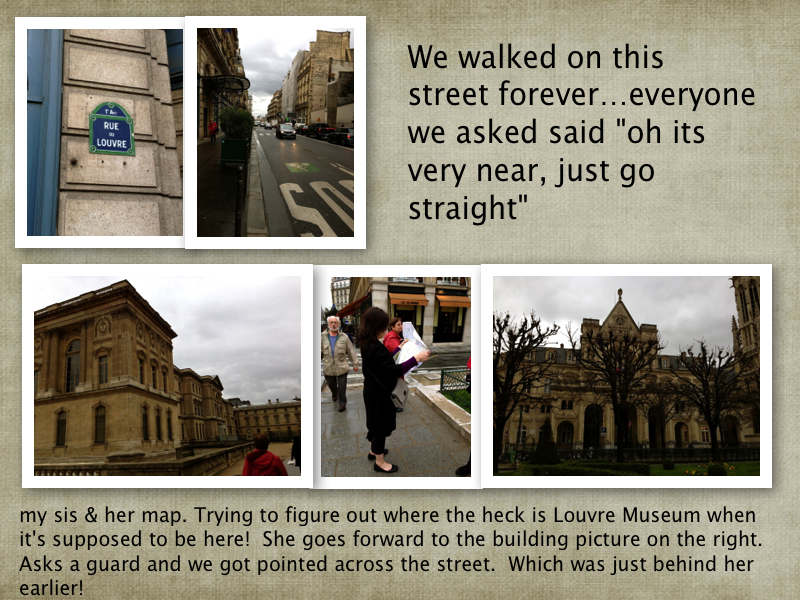 Let me give you a quick recap of how our day 1 in Paris went in case you din’t get to read the previous post. 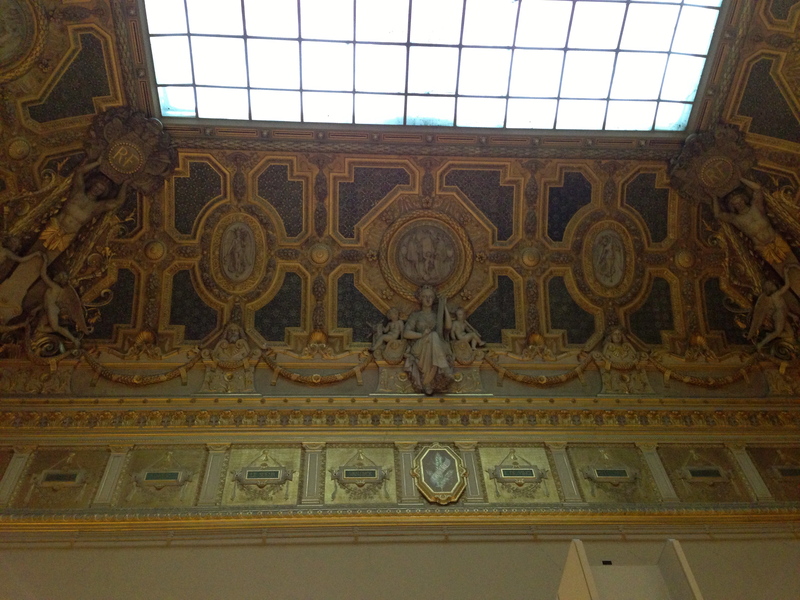 -Arrived Paris 8am, luggage took forever to arrive! -Settled down, showered, till 1130am. -Wasted some time figuring out how to use the prepaid metro tickets. -Attempted to go to the shopping outlet 2pm-6pm. But Got lost instead. Sis left inside a train. Going in circles to try to get to her. Failed shopping outlet attempt. 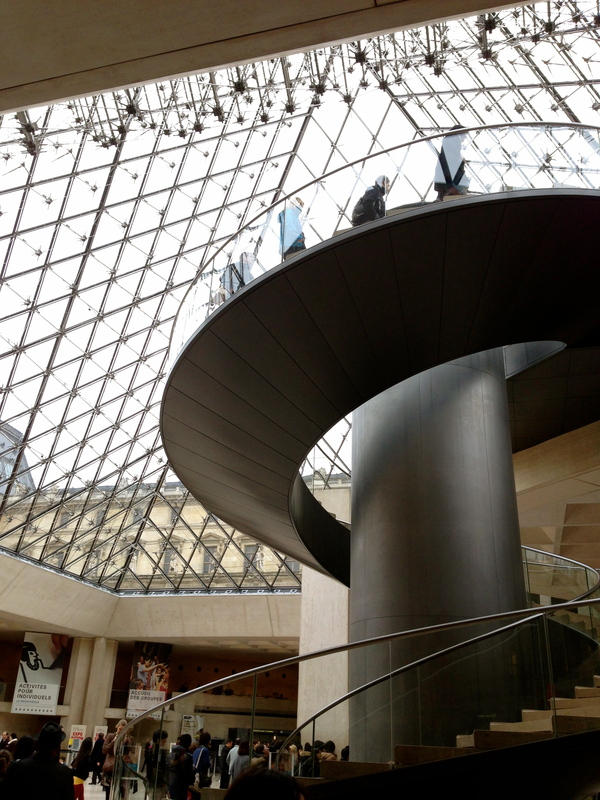 -Decided to just stay in the city and enjoy some art at the Louvre from 4pm-6pm. -Got lost again for an hour looking for the restaurant we had reservations at. -Dinner 830-10pm. Night cap-Glass of wine. -Taxi back to hotel, fast asleep by 12midnight. 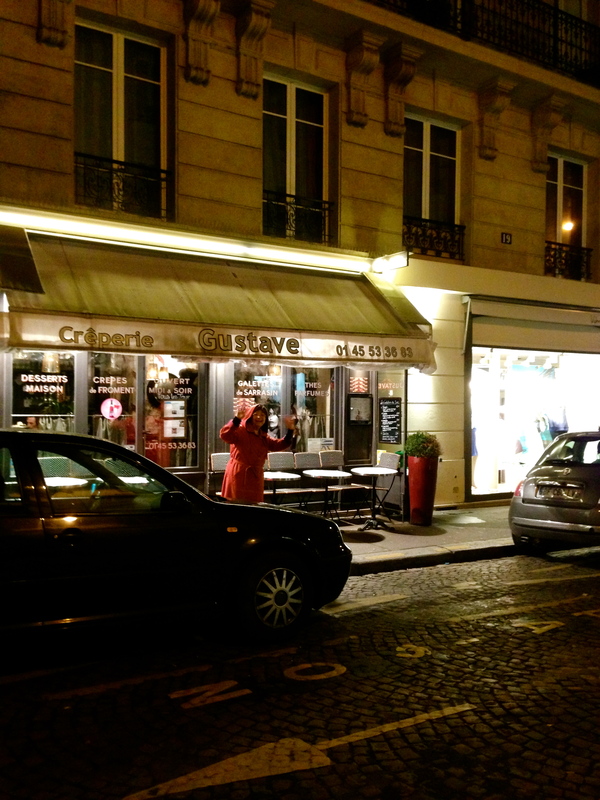 My Journey to the City of Light (a.k.a Paris) – Getting there and settling down, Day 1.